While skiers didn’t always consider helmets a necessity, today more and more people are starting to wear them. Snowboarders and skiers have both started looking more at the safety issues, plus ski helmets have become much more stylish in recent years as new manufacturing techniques and technology becomes available. Recently, a new improvement to ski helmets was announced by Multi-directional Impact Protection System (MIPS), a company based in Sweden that focuses on brain protection. This new helmet technology was designed to mimic how the brain protects itself, adding another major layer of protection to skiing. In 1997, Hans von Holst, a neurosurgeon in Sweden, began research into helmet design after seeing a steady stream of athletes with brain injuries. Other helmets on the market were basically upgrades to older helmet designs that were first introduced in the 70s, but von Holst had seen first-hand that those designs didn’t always work. He instead began looking at how the brain protected itself using cerebro-spinal fluid as a cushion. What he noticed during his research is that most skiers hit their heads at an angle rather than directly—few people actually hit the ground completely vertically. When they do, their heads and necks tend to rotate on impact, and that was actually the cause of many brain injuries. Within the skull, the cerebro-spinal fluid actually lets the brain move a bit with the impact. Unfortunately, skiing and snowboarding accidents, which often occur at high speeds, were too much for this protective system. As von Holst and his colleagues looked at the brain’s natural way of protecting itself, they began to see how that method could be added to helmets used in skiing and snowboarding plus other basic gear for Winter Cycling. The resulting helmet actually includes a movable layer of cushion between the outer shell of the helmet and the inner lining. This layer helps to absorb the impact and decrease the brain’s rotational acceleration upon impact. Studies show that it actually reduces the movement of the brain by as upwards of 50 percent when compared to some of the top traditional helmets on the market. 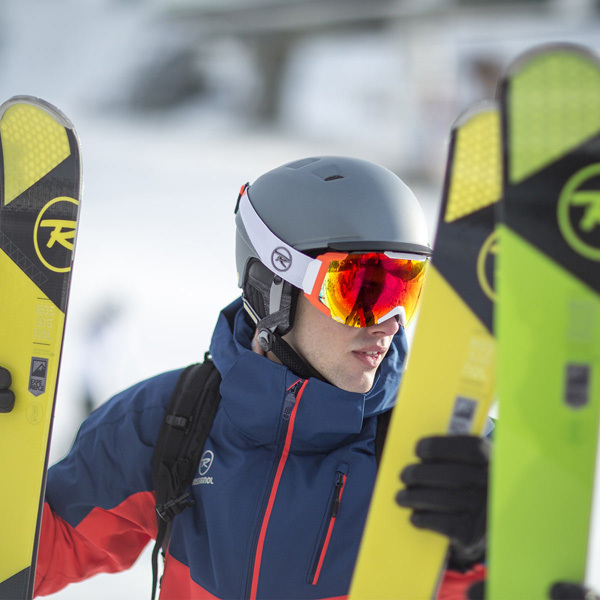 While the MIPS technology is certainly applicable to winter sports like skiing and snowboarding, it has also caught on with other sports, and since 2010, a number of different helmet manufacturers have offered MIPS helmets. This includes companies that produce protective bike gear, roller skating helmets, and even helmets used in equestrian events. Even some off-road motorcycle helmet manufacturers have seen the worth of the MIPS new protective system and incorporated it into their gear. As more and more athletes learn about MIPS and the benefits it offers, the demand for this gear is increasing. In turn, more manufacturers will start adding MIPS to their products to meet this demand. In 2012, popular helmet company Red Burton introduced helmets with MIPS technology built into them. Even those MIPS helmets had slowly been appearing on the market since 2010, this was an important move because their R.E.D. Hi Fi model was worn by six of the seven medalists at the 2010 Olympics in Vancouver. The fact that these Olympians made the decision to choose a highly protective ski helmet with MIPS technology over other brands shows that athletes of the highest caliber are very concerned about their safety. They don’t want just cool ski helmets, they want helmets that are going to keep their brains protected during an accident. While many beginners and children wear helmets, as they get better at skiing, they often decide to ditch the protection because they think it doesn’t look cool or because they find helmets cumbersome. Fortunately, today’s designers are much lighter and more aerodynamic than previous ski helmets. It’s vital that everyone wear helmets, especially teens and those in their early twenties. These groups of young adults often forego the helmet because they want to look cool, but that’s a major mistake. Brain experts have learned that the brain actually continues to develop until the mid-20’s, and any injury during this time can cause major damage. That’s not to say older people can pass on helmets, of course—everyone needs to wear one. Remember that shopping for a helmet is more than just finding another way of adding to your look. It’s a decision that could save your life. Yes, you could buy a cheap bike helmet and hope that it’s enough to protect you if you take a tumble, but do you really want to gamble with brain damage? A number of people die every year in skiing and snowboarding accidents, so it’s definitely always better to err on the side of caution. Do yourself a favor and purchase a ski helmet with MIPS technology so you’re as protected as possible.